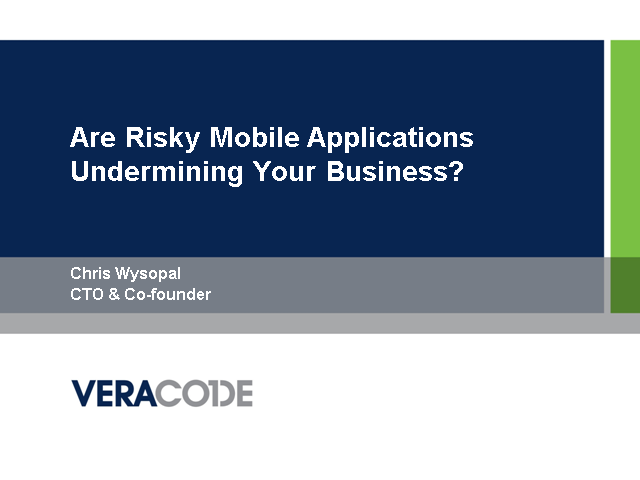 Are Risky Mobile Applications Undermining Your Business Security? As the lines blur between personal devices and business tools – what is their place in the workplace and how big a security threat do applications pose? With 75% of new attacks targeting apps, combined with regulatory requirements, it is unsurprising application security has risen to the top of security professionals agendas. With more staff using personal devices for business purposes and company devices for private use, SC’s webcast will shed vital light on the real security repercussions of risky apps in the workplace and what you can do. Title: Are Risky Mobile Applications Undermining Your Business Security?